This gorgeous circular dinanderie wall plaque was designed by the French designer Lucien Gerfaux during the Art Deco period. 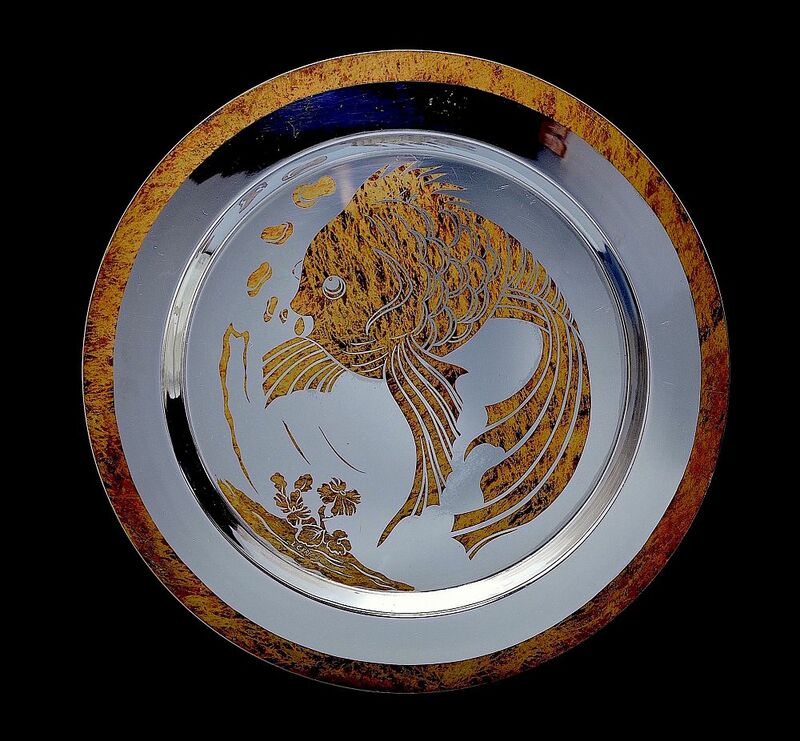 It depicts a large fish blowing air bubbles floating above a coral reef. Signed L Gerfaux.